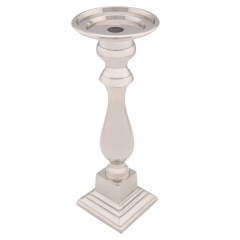 Enrich the appeal of your living space by getting this exquisite and vintage candle holder. The alluring build and tones of the holder make it an excellent addition to your home decor. The soft illumination from the candle and the attractive appeal of the holder instantly make your living space look gorgeous.